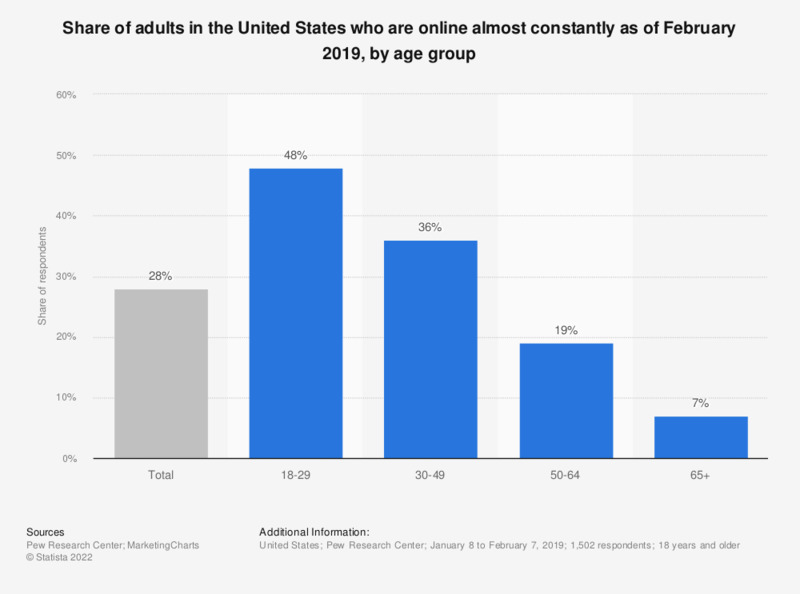 This statistic presents the share of adults in the United States who describe themselves as being online almost constantly as of January 2018, by age group. During the survey period, 39 percent of the respondents aged between 18 and 29 years stated that they accessed the internet almost constantly. "Almost constantly" refers to internet usage more than "several times a day"